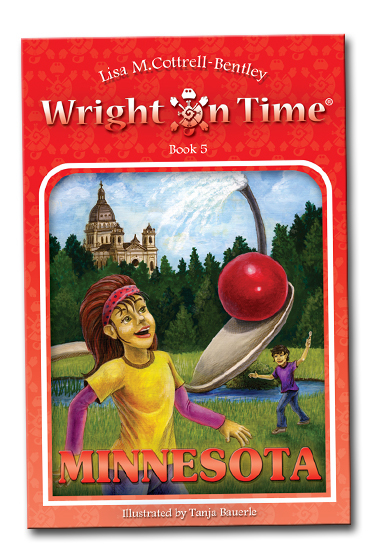 The Wright family has trekked their way from Arizona to Minnesota on their homeschooling RV adventure of a lifetime! In the “Land of 10,000 Lakes”, they discover some really big things. Will Nadia have time to see all the sculptures she wants to? Can Aidan pick up a cherry as big as his head? Will Stephanie’s love of rock climbing come in handy to keep Harrison safe? Just how do you paint metamorphosis? And can the Wrights manage to get the Time Tuner to work again? 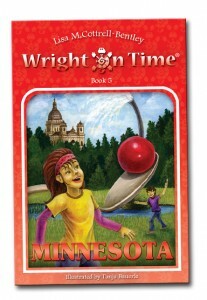 This is the fifth book of the Wright on Time series.